Hi, my name is Svali. Both I and my entire family were involved in a cult group until several years ago, when we broke free. I used to be a programmer in the cult, and now I want to share the knowledge that I have to help others. 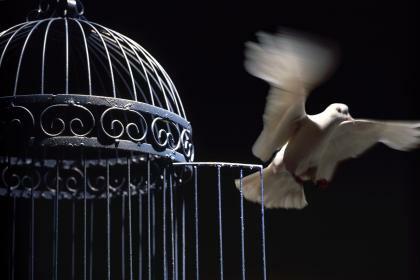 It is possible to break free of cult abuse if a person is involved. It is a long, heart-breaking process, but well worth it. In the articles that I will be providing, I hope to help the survivor of cult abuse find tools to help in their journey towards freedom. I have been a consultant to an on-line survivors group that helps people dealing with issues related to cult programming and becoming free, for the past year and a half. I myself have been in therapy for ritual abuse and DID for nine years, with the last five being aware of the recent cult abuse. I am also a writer, and a registered nurse. I currently work as a diabetic educator in Texas 20 hours a week. I have also self-published a book on breaking free of cult programming, which several experts in the field have said has "invaluable information" for the survivor of ritual abuse. Both my ex-husband and my two children broke free of cult abuse last year. My children are living with me while my husband is working on healing. They all have DID (dissociative identity disorder, formerly known as multiple personality disorder) as well, which makes life at home interesting! I am currently married to my second husband, who is also a recovered DID and who got out of the cult five years ago.